I am delighted to have another one of my projects featured on the design website Houzz. 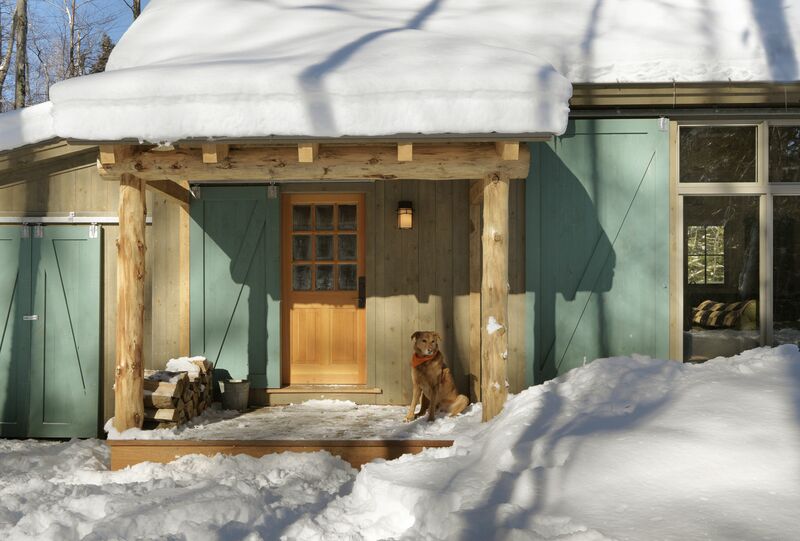 Blogger, Editor and Stylist Joanne Palmisano showcased my Remote Cabin in her ideabook entitled, Houzz Tour: Cozy Vermont Cabin Blanketed in Charm This carefully crafted, ecofriendly cabin in the woods makes coming in from the cold a truly memorable occasion. I am delighted to have one of my projects featured this week on the design website Houzz. 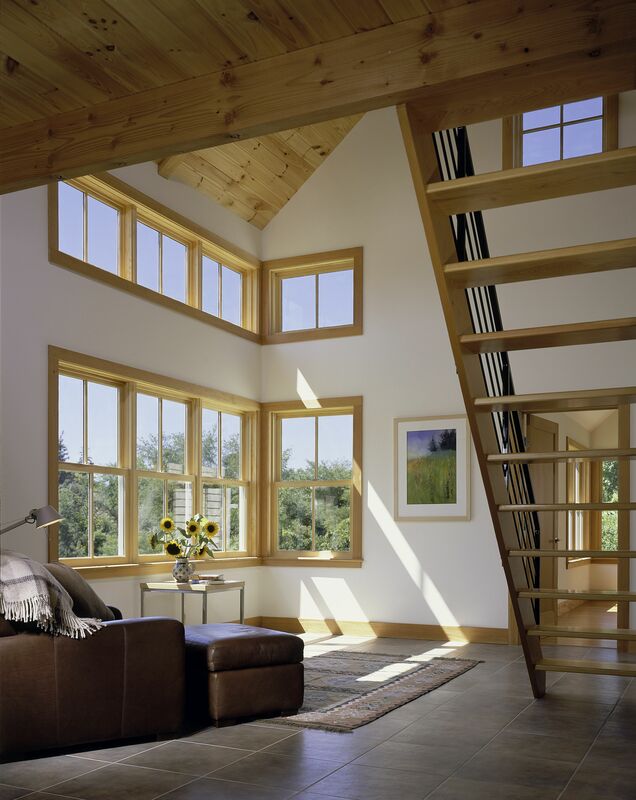 Houzz is a leading destination for home design enthusiasts, professionals and home owners from around the world. With over 50,000 photos and 100,000 ideabooks, Houzz has the largest database of home design ideas on the net; it is the online version of cutting pages out of magazines and stuffing them in a folder. 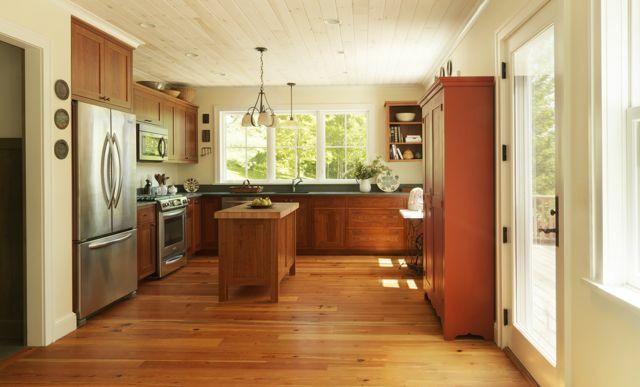 Writer, Editor and Dreamer Lawrence Karol showcased my Modern Cabin in his ideabook entitled, Houzz Tour: Bright, Polished Vermont Cabin Using local woods, plentiful windows and a keen eye for design, an architect builds a sleek cabin in the mountains of Vermont. I am pleased to donate three small house designs to the Mad River Valley Housing Coalition for use in their Affordable Land initiative. The Housing Coalition has identified the cost of land as the biggest obstacle for a working family to be able to build a modest home in the Mad River Valley. MRVHCs Affordable Land initiative offers property at little or no cost to people who live or work in the Valley and want to build their first home. In addition to land, the Housing Coalition offers designs for small, energy-efficient homes for use at no cost. One of the my small house designs is pictured below.